You might be at risk for electrical fires or unexpected expenses. An electrical service inspection will allow us to catch any current problems. At the end of the inspection, we will give you a recommendation on what to do. Do you live in Las Vegas and want to learn more about an Electrical Service Inspection? Read below! You use a lot of electricity whether you know it or not. And it is not a bad thing. But, you need to be asking if your home is properly equipped to handle your output. Are you at dangers of fires or is your home safe? Are your breakers at risk of failing or will they be fully functional? According to a 2015 study performed by the U.S Energy Information Administration, the average American household has been consuming increasing amounts of energy. This is due to new technologies, more condensed living spaces and bigger households. What this means is that the average american household needs annual service inspections to make sure everything is fully operational. 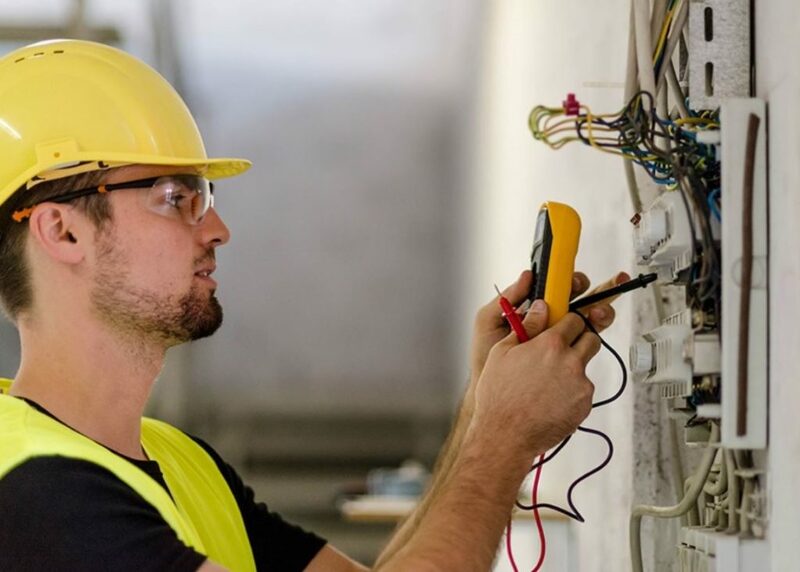 Whether you are buying a new home or want to make sure your current house is up-to-date, you will benefit from an electrical service inspection. When you order an inspection, for your home or for one you are about to purchase, we will check all systems. Broken down more specifically, we will be looking at the smoke detectors, the electrical breakers, the electrical wiring, GFCI (Ground Fault Circuit Interruptors), and all receptacles. If everything checks out – then you are good to go. If there is a problem, we will notify you and offer our recommendation. Often times, a simple service inspection is enough to prevent electrical fires as we are able to identify problems before they get out of hand. Aside from safety issues, inspections also guarantee your convenience. Can you imagine how brutal it would be for your A/C to go out in the middle of a 120 degree Las Vegas Summer? Do not let that happen to you and your family. Stay safe and stay convenient. There are three times when you should definitely get an inspection. The first is when you are buying a new home. In fact, most reputable mortgage companies will require such an inspection. The second is before you start any major renovations. Before starting your upgrades, it is important for you to figure out if your current electrical set-up can support the new changes. And the third is for insurance purposes. When you are getting your home insured, sometimes insurance agents might ask you to get an inspection done.